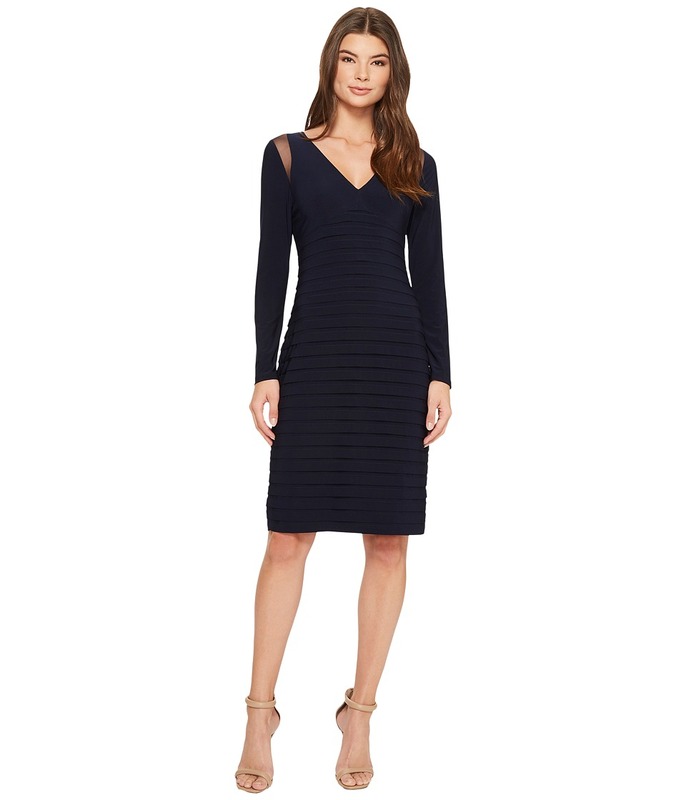 Make lasting memories in this Adrianna Papell dress. Sheath silhouette. Stretch-poly fabrication features color-blocked design and a banded skirt for an elevated look. V-neckline. Cap sleeves. Concealed hook and zipper closure at back. Lined. Straight hemline. 96 percent polyester, 4 percent elastane Shell 2: 96 percent polyester, 4 percent elastane Lining: 100 percent polyester. Hand wash cold and dry flat. Imported. Measurements: Length: 39 in Product measurements were taken using size 2. Please note that measurements may vary by size. 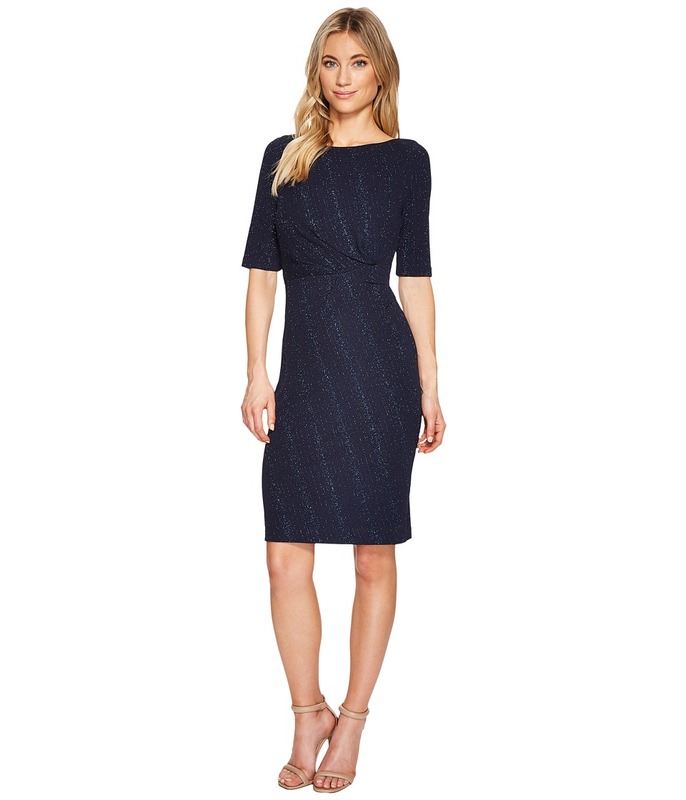 Make lasting memories in this Adrianna Papell dress. Sheath silhouette. Sleek stretch-poly fabrication features a banded skirt for an elevated look. V-neckline. Long sleeves. Peek-a-boo sheer lace at shoulders. Concealed hook and zipper closure at back. Lined. Straight hemline. 96 percent polyester, 4 percent elastane Shell 2: 100 percent polyester Lining: 100 percent polyester. Dry clean only. Imported. Measurements: Length: 39 in Product measurements were taken using size 2. Please note that measurements may vary by size. Shine brighter than the rest in this Adrianna Papell dress. Sheath silhouette. Shimmering stretch-poly fabrication. Round neckline. Short sleeves. Gathering at side for a flattering shape. Concealed hook and zipper closure at back. Lined. Straight hemline. 95 percent polyester, 5 percent elastane Lining: 100 percent polyester. Hand wash cold and dry flat. Imported. Measurements: Length: 39 in Product measurements were taken using size 2. Please note that measurements may vary by size. Prepare for a romantic night out in this Adrianna Papell dress. Shift silhouette. Stunning lace fabrication. Sheer long sleeves. Concealed hook and zipper closure at back. Lined. Scalloped hemline and edging. 70 percent nylon, 30 percent viscose Shell 2: 100 percent polyester Lining: 100 percent polyester. Dry clean only. Imported. Measurements: Length: 37 1 2 in Product measurements were taken using size 16W. Please note that measurements may vary by size. Poised yet chic, the Francesca heel delivers beautiful style. Breathable mesh upper features lace and satin overlay. Slip-on wear. Peep toe silhouette. Leather and mesh lining. Footbed made of leather. Wrapped heel. Leather sole. Imported. Measurements: Heel Height: 3 1 4 in Weight: 8 oz Product measurements were taken using size 9.5, width M. Please note that measurements may vary by size. Weight of footwear is based on a single item, not a pair. As elegant as it is versatile, the Adrianna Papell Gracie comes on top. Satin upper. Halo ankle strap with buckle closure. Open toe. Ruffled motif at vamp. Leather lining. Lightly padded leather footbed. Wrapped heel. Leather sole. Imported. Measurements: Heel Height: 3 in Weight: 8 oz Product measurements were taken using size 8, width M. Please note that measurements may vary by size. Weight of footwear is based on a single item, not a pair. Elevate your evening ensemble with the Adrianna Papell Adore wedge sandal. Woven synthetic upper. Back zipper closure. Halo ankle strap. Rounded open toe. Leather lining. Lightly padded leather insole. 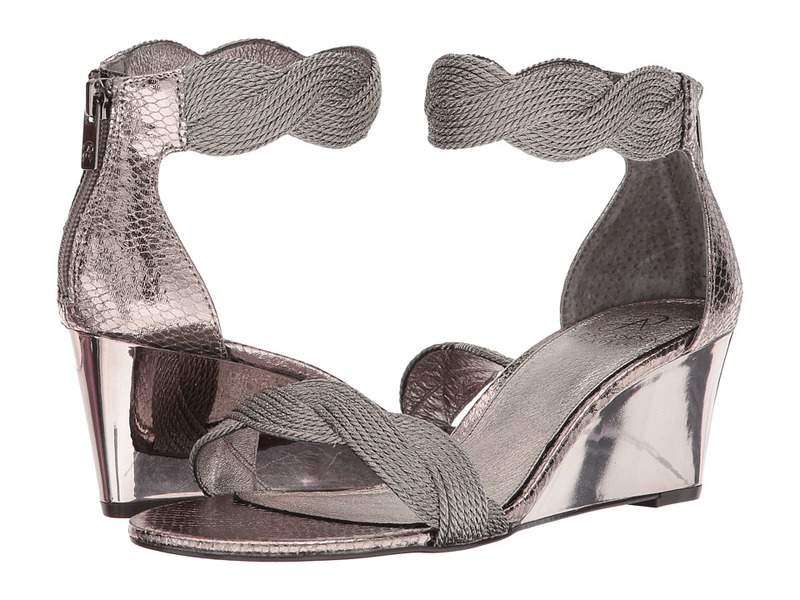 Glossy metallic wedge heel. Man-made sole. Imported. Measurements: Heel Height: 2 1 4 in Weight: 7 oz Product measurements were taken using size 8.5, width M. Please note that measurements may vary by size. Weight of footwear is based on a single item, not a pair. Sweetly embellished and elegant, the Adrianna Papell Bernadette flat is your one-stop-shop for chic footwear. Mesh fabric upper features ruffled flowers and sequins. Slip-on. Round toe. Man-made lining. Padded leather insole. Man-made sole. Imported. Measurements: Heel Height: 1 4 in Weight: 4 oz Product measurements were taken using size 7.5, width M. Please note that measurements may vary by size. Weight of footwear is based on a single item, not a pair. All eyes will be on you when you step out in these feminine-chic Adrianna Papell Stevie ballet flats. Synthetic mesh upper features grosgrain trim detail. Slip-on. Crystal brooch detail at vamp. Rounded toe. Synthetic lining. Leather-lined, fixed insole. Rubber sole. Imported. Measurements: Heel Height: 1 2 in Weight: 5 oz Product measurements were taken using size 9, width M. Please note that measurements may vary by size. Weight of footwear is based on a single item, not a pair. 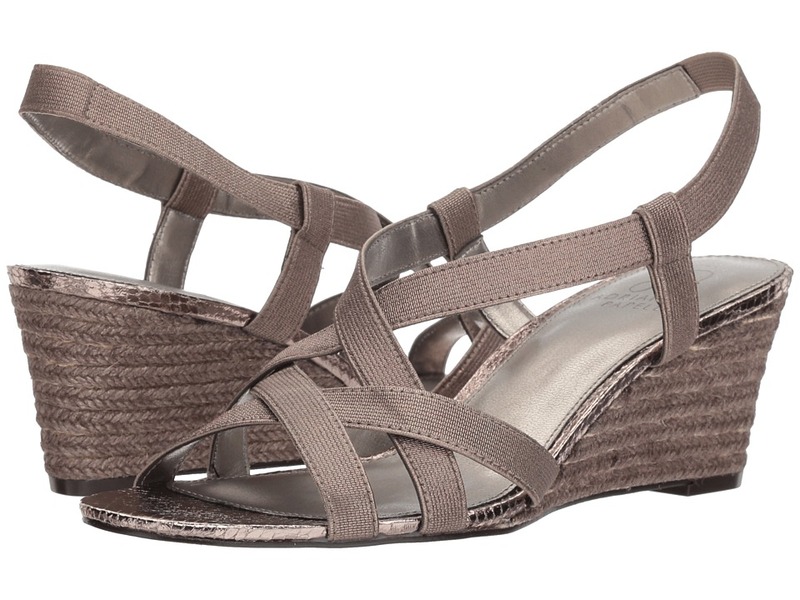 Add chic flair to your everyday look with these sweet Adrianna Papell Trala flats. Fabric upper with lace overlay detail. Halo ankle strap with buckle closure. Closed pointed toe. Leather lining. Lightly padded footbed. Metallic heel accent. Leather sole. Imported. Measurements: Heel Height: 3 4 in Weight: 6 oz Product measurements were taken using size 7.5, width M. Please note that measurements may vary by size. Weight of footwear is based on a single item, not a pair. 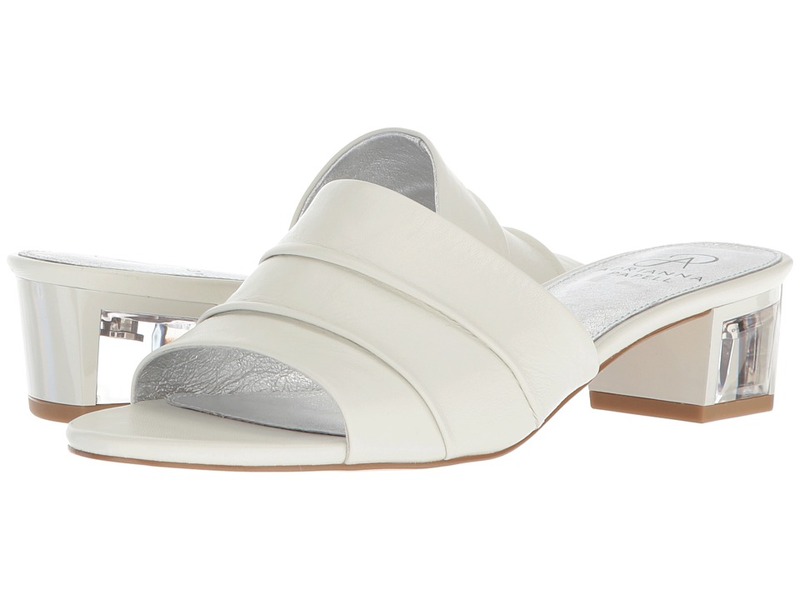 Put a feminine spin into your footwear collection with Adrianna Papell Pamela wedge. Fabric and mesh upper features embroidered overlay detail. Laces wrap ankle for a secure fit. Closed almond toe. Leather lining. Lightly padded footbed. Jute rope platform and wedge heel. Man-made sole. Imported. Measurements: Heel Height: 3 in Weight: 10 oz Platform Height: 3 4 in Product measurements were taken using size 9, width M. Please note that measurements may vary by size. Weight of footwear is based on a single item, not a pair. 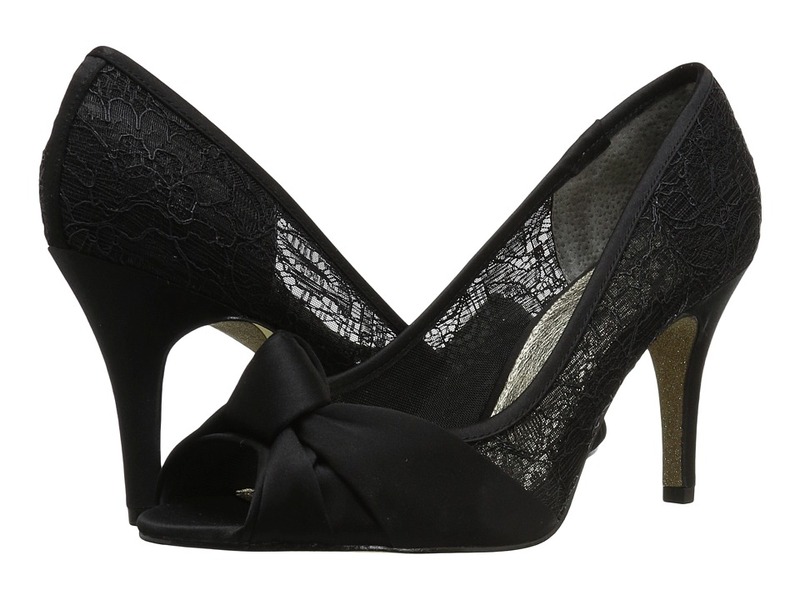 The dazzling Monica pump will beautifully complement any evening ensemble you pair her with. Metallic synthetic and mesh upper. Ankle strap with buckle closure. Open toe. Lightly padded footbed. Wrapped heel. Man-made sole. Imported. Measurements: Heel Height: 3 1 2 in Weight: 7 oz Product measurements were taken using size 7.5, width M. Please note that measurements may vary by size. Weight of footwear is based on a single item, not a pair. 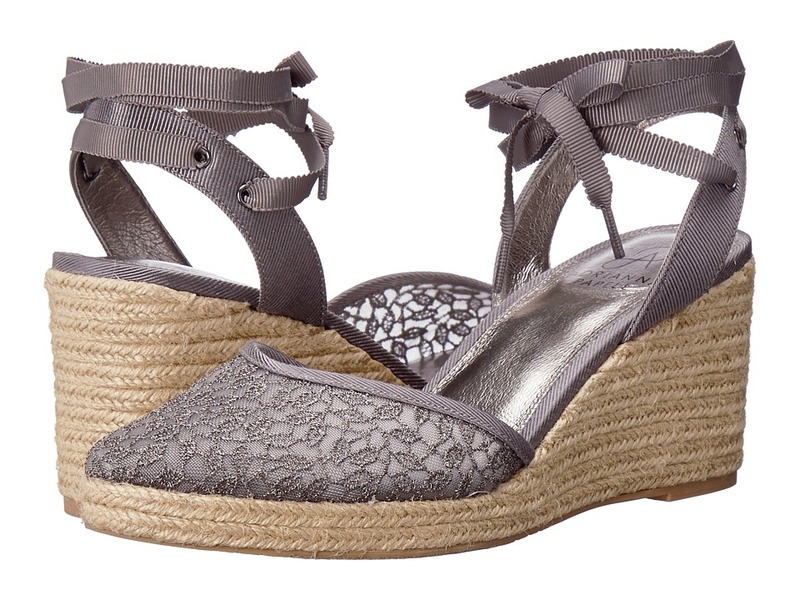 Comfort meets modern design with the Adrianna Papell Alba espadrille wedge sandal. Elastic upper material. Slip-on design with slingback ankle strap. Open-toe, strappy silhouette. Crisscrossing straps over vamp. Man-made lining. Lightly padded, stationary insole. Jute-wrapped wedge heel. Man-made outsole. Imported. Measurements: Heel Height: 2 1 2 in Weight: 7 oz Product measurements were taken using size 8, width M. Please note that measurements may vary by size. Weight of footwear is based on a single item, not a pair. 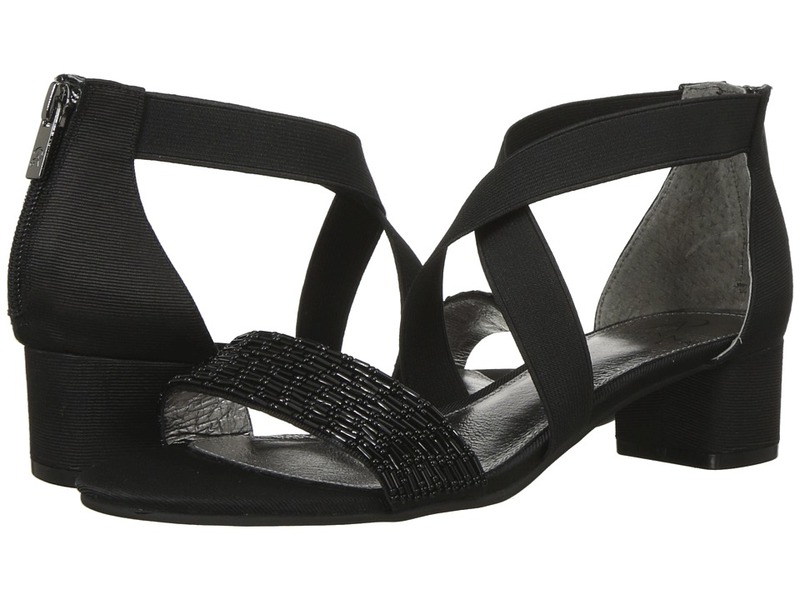 Poised yet chic, the Adrianna Papell Cannes wedge sandal delivers beautiful style. Metallic textile upper. Ankle strap with buckle closure. Open toe, thong construction. Man-made lining. Lightly padded footbed. Covered wedge heel. Man-made sole. Imported. Measurements: Heel Height: 2 in Weight: 7 oz Product measurements were taken using size 8.5, width M. Please note that measurements may vary by size. Weight of footwear is based on a single item, not a pair. The dazzling Adrianna Papell Teagan heeled sandal will beautifully complement any evening ensemble you pair her with. Woven fabric upper with beaded vamp detail. Back zipper closure. Open toe. Leather lining. Lightly padded footbed. Chunky block heel. Man-made sole. Imported. Measurements: Heel Height: 1 1 2 in Weight: 7 oz Product measurements were taken using size 7.5, width M. Please note that measurements may vary by size. Weight of footwear is based on a single item, not a pair. 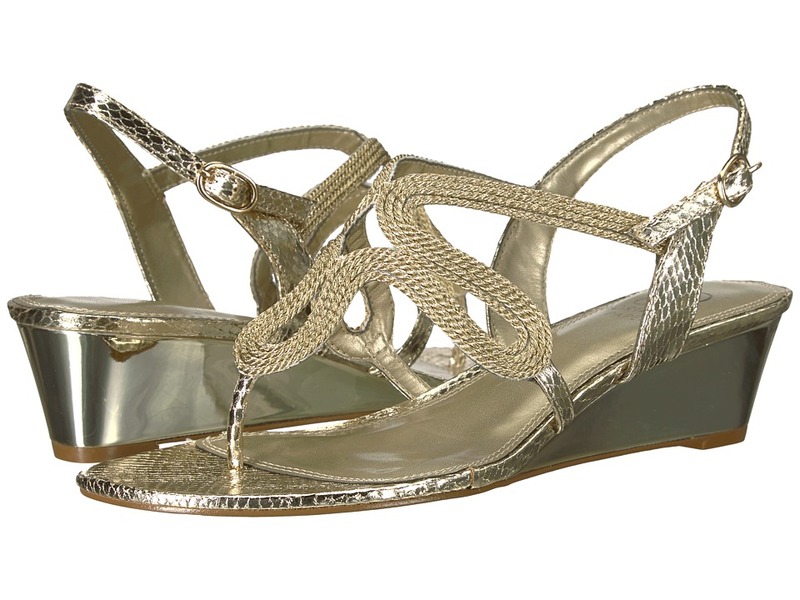 You~ll impress your onlookers with these classic and ultra-chic Adrianna Papell Tiana sandals. Leather upper with ruched detail. Slip-on wear. Open toe. Smooth leather linings. Chunky heel with opaque detail. Man-made sole. Imported. Measurements: Heel Height: 1 3 4 in Weight: 7 oz Product measurements were taken using size 8.5, width M. Please note that measurements may vary by size. Weight of footwear is based on a single item, not a pair. With beautiful hues and a classic silhouette, Adrianna Papell Addie pump will rise to the occasion. Textile upper. Slip-on with elastic slingback strap. Strappy silhouette. Synthetic lining and insole. Wrapped heel. Man-made sole. Imported. Measurements: Heel Height: 3 3 4 in Weight: 7 oz Product measurements were taken using size 9, width M. Please note that measurements may vary by size. Weight of footwear is based on a single item, not a pair.